God bless America. 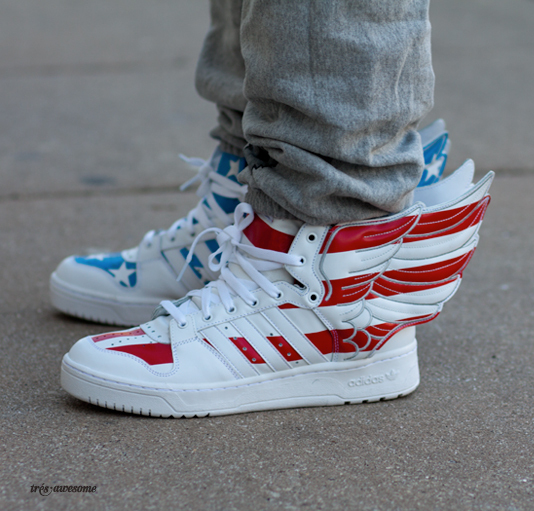 These winged Jeremy Scott for Adidas kicks with the old glory motif are INSANE and awesome. This is the first (and probably last time) you'll see someone wearing a sweat suit on Très Awesome. This however isn't your average sweat suit. 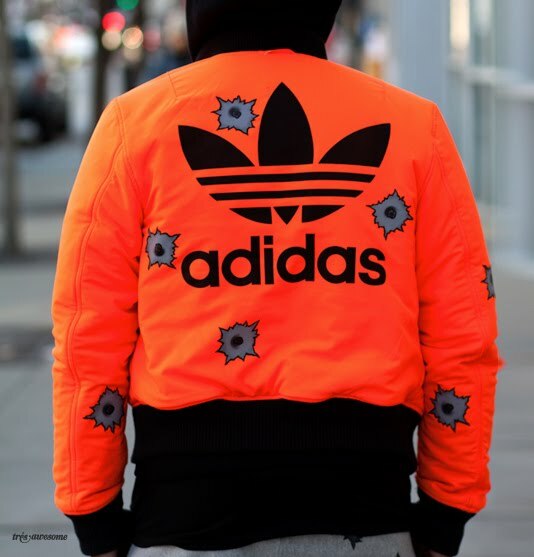 This crazy concoction is from the Jeremy Scott x Adidas Collaboration. 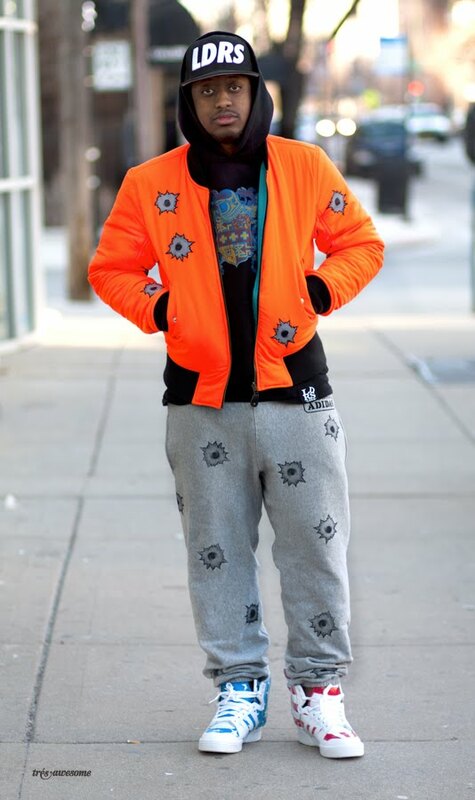 Want your very own bullet riddled sweat suit and American flag winged sneakers? 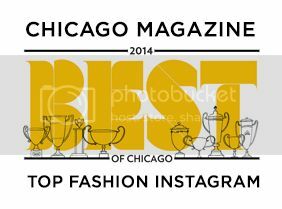 Get these and tons more choice gear at LDRS on 672 N. Wells St. I would never be able to pull these off, I mean that guy is barely doing it. BUT they are amazing.